Comments: Thornton Fisher (1888-1975) was an American cartoonist, illustrator and radio sports commentator. 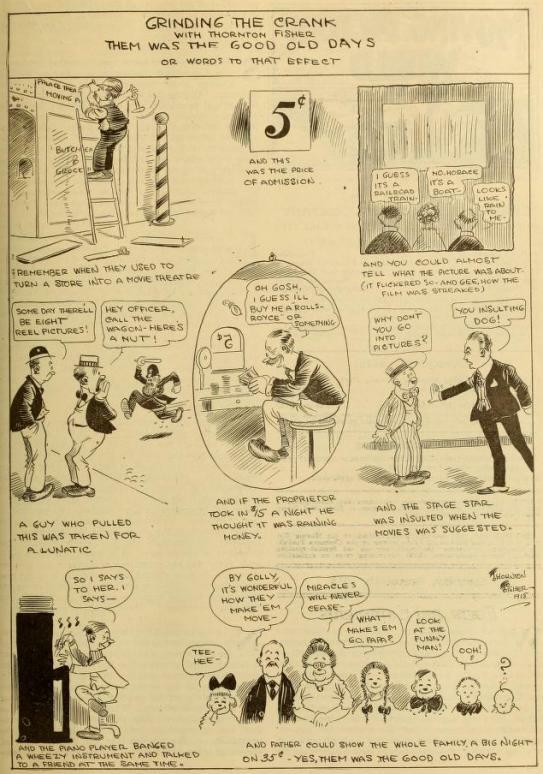 This cartoon for a 1918 film journal already looks back on the development of the cinema business with nostalgia. My thanks to Beth Corzo-Duchardt for bringing this to my attention. 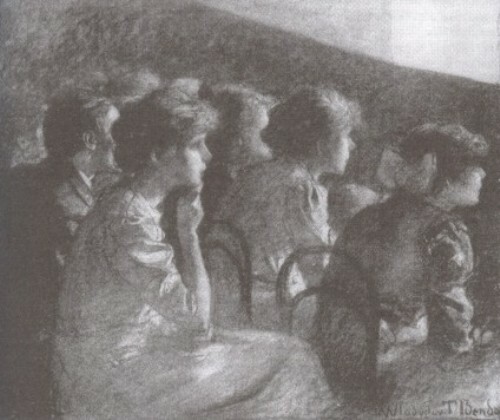 This entry was posted in 1910s, Cartoons, Film journals, USA and tagged Audiences, Musicians, Prices, Screens, Shops, Thornton Fisher. Bookmark the permalink.